Shuler Hensley steals "Dr. Seuss' How The Grinch Stole Christmas! 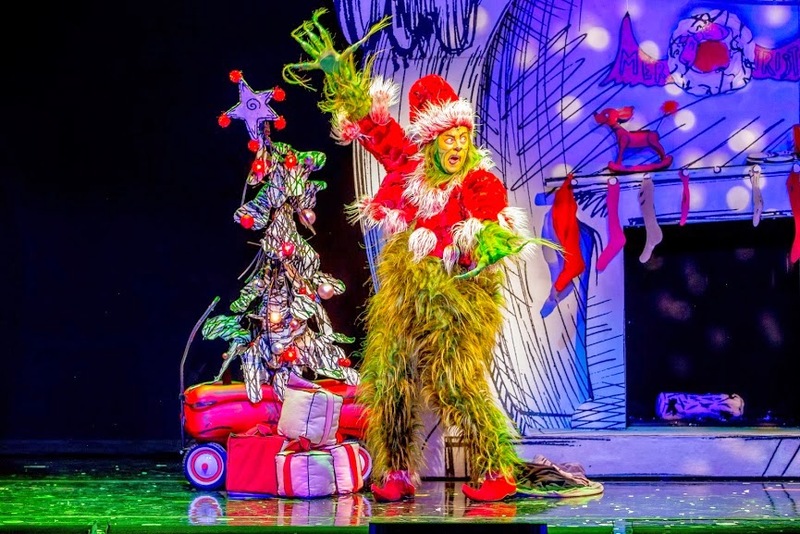 : The Musical"
While being short on appeal for adults, "HOW THE GRINCH STOLE CHRISTMAS! 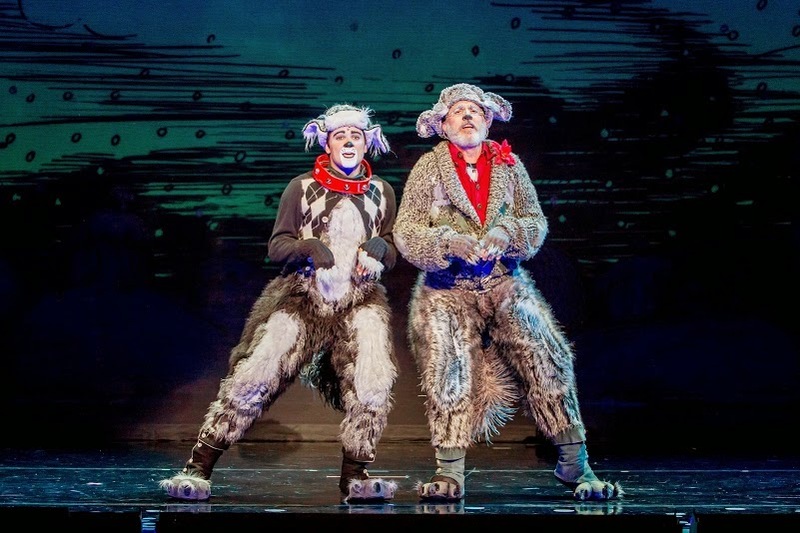 : THE MUSICAL," playing the Chicago Theatre through Nov. 29, is a decidedly kid-friendly holiday show is the perfect vehicle to introduce children to the wondrous magic of live musical theater. And that is, perhaps, how things should be. This still makes no bleeping sense to me. Those of us old enough to remember a time before cable, video on demand or Blue-Ray, might recall how the holiday season didn't officially begin until the three network stations began airing their roster of holiday classics. "The Year Without a Santa Claus," "A Charlie Brown Christmas," and, yes, even "Rudolph's Shiny New Year" all had fans in my household (there's always one person who finds the holiday-melding "Shiny New Year" to be his/her cup of tea, though I confess I don't know why). 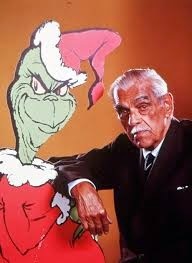 And while we still argue over our favorites as children, there is one holiday classic for which there is little debate: Chuck Jones' 1966 "Dr. Seuss' How The Grinch Stole Christmas!," narrated by none other than horror movie icon Boris Karloff, is holiday perfection. Both book and cartoon are still ahead of their time in some respects. Seuss began warning us about the dangers of over-commercializing holidays some 48 years ago. The fact that so many retail employees now have to give up a family holiday (Thanksgiving) to feed our nation's insatiable consumer appetite for "Black Friday" deals would no doubt sicken both Seuss and The Grinch. But I digress. It's hard to see a classic 22 minute piece of animation bloated to either a feature length film (as it was in 2000) or a 90-minute, intermissionless children's musical. And yet, in the case of the musical, it's length --though still two sizes bigger than it should be-- still managed to keep the addition of the kiddies for nearly its entire length. Much of the credit for keeping things engaging for the younger set surely goes to Shuler Hensley, whose Grinch is less menacing and more mischievous. Hensley knows when to improvise a bit and play to the audience for full comic effect. He's helped along by Ken Lund, who plays the older version of the green one's faithful dog Max and serves as the piece's narrator (and heart and soul, really). "This Time of Year" (a song in which he sings nostolgically with his younger self, played by Aleksa Kurbalija) perfectly captures that moment when an older, wiser self longs to go back to the days when the world was just a little bit more magical. The plot doesn't stray too far from its original path. The Grinch is a loner who hates Christmas. The Whos of Whoville do not. And yet, the older Whos are as guilty as the Grinch for losing the true meaning of Christmas as demonstrated in "It's the Thought That Counts." Despite its title, it is very much about running yourself ragged as you shop for things that your kids probably don't really need. The Grinch hatches a plot to literally steal Christmas, thinking without all the gifts, decorations, lights and bows that make up the trappings of the holiday that there will be no holiday. In the original, the holiday still comes and the Grinch has a change of heart when he hears all of Whoville singing (the iconic songs from the animated show "Welcome, Christmas" and "You're a Mean One, Mr. Grinch" are included alongside new songs here). It's really one child's act of unselfish, unwavering kindness (Cindy-Lou Who, played by Lilyana Cornell and Presley Ryan alternately), who really melt's this musical Grinch's heart. Composer Mel Marvin and lyricist Timothy Mason have written Cindy-Lou a touching ballad "Santa For a Day." Yes, it is perhaps overly-sweet, but sung with such conviction that it can't help but melt the most fridge of hearts. 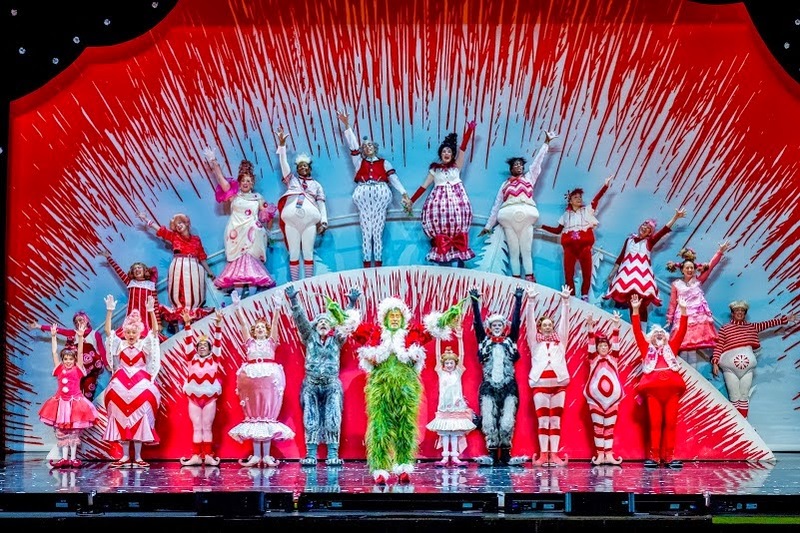 The sets by John Lee Beattyand costumes by Robert Morgan pay stricter homage to the drawings of Seuss than did the cartoon. Fans of the book will really marvel at how the book seems to come to life in set pieces, props and costumes. Ultimately, Hensley's devilishly playful take on the iconic role that makes these a holiday special the younger set won't want to miss. "Dr. Seuss' How The Grinch Stole Christmas! The Musical" runs through Nov. 29 at the Chicago Theatre, 175 N. State Street. Tickets $35-$125. Call (800) 745-3000.